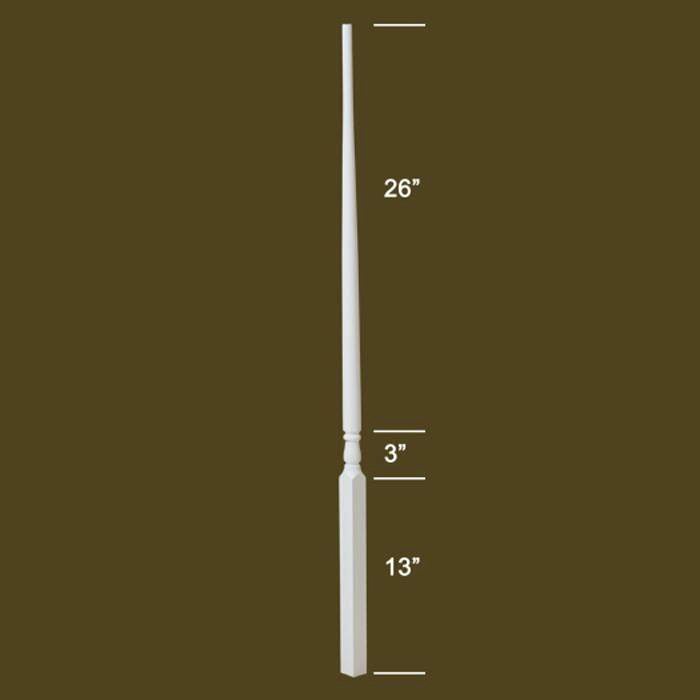 The 5015 primed wood baluster is the most popular wood baluster for contractors in North America. The 5015 is inexpensive, functional and attractive. It is easily cut from the bottom block to fit into stairs with a curb wall or or to sit on top of the stair tread. Choose this product for your stairs when budget is of primary concern. The 5015 series baluster does come with a dowel pin on the bottom. Thank you for contacting us Nicholas. This baluster is 42 inches long. I need one that is 38 inches long, but identical to this one. Does this exist? Hello, Amy. These are sized at 42 inches, but they are designed to be able to trim to the correct size. Typically, you would trim the bottom, square section of this baluster to the desired length, once you receive it. 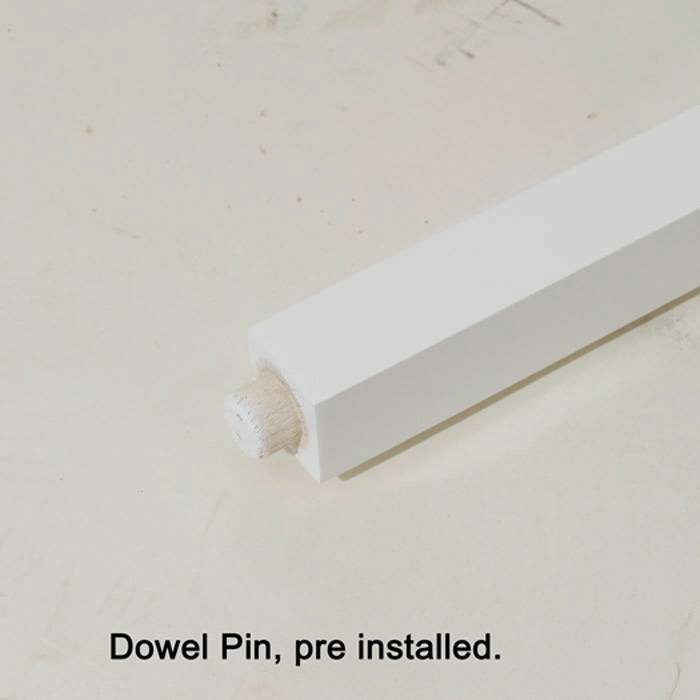 Can the dowel pin be removed? We have a dowel screw already in place in the stair tread. Thank you for your question, Heidi. Although the dowel pin is secured into the baluster, it can easily be trimmed off for use with a dowel screw. 5015 imported primed ballister is 42′ tall, correct. Yes, Robert. 42 inches is correct. What is the height of the bottom portion of this baluster? Melissa, thanks for the question. 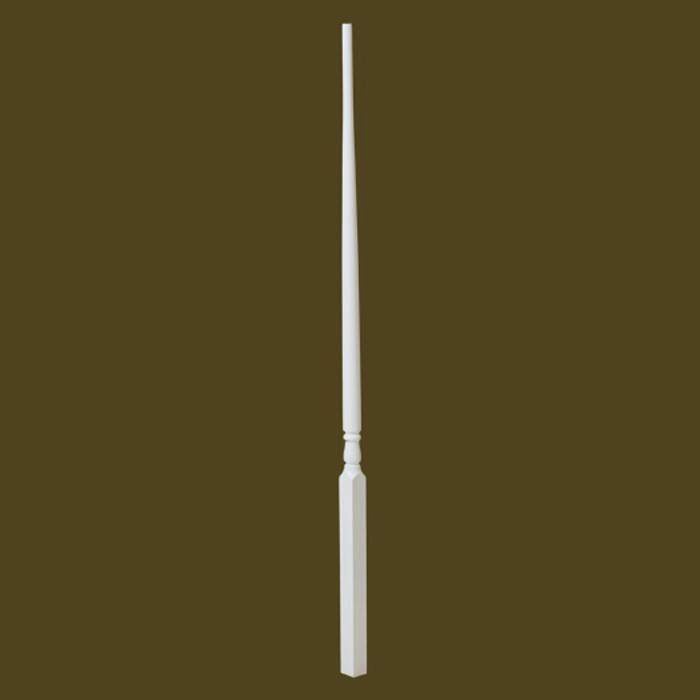 I have specs for the 5015 baluster that we make in-house and the bottom section is 7″. I would imagine the imported version would be similar. do you have a 5015 baluster where the base/bottom section is 12.5-13 inches? I need to replace one on my steps that has broken. I need one that is 42 inches total with the same design, but the bottom section is longer. Thanks for the question Lisa. 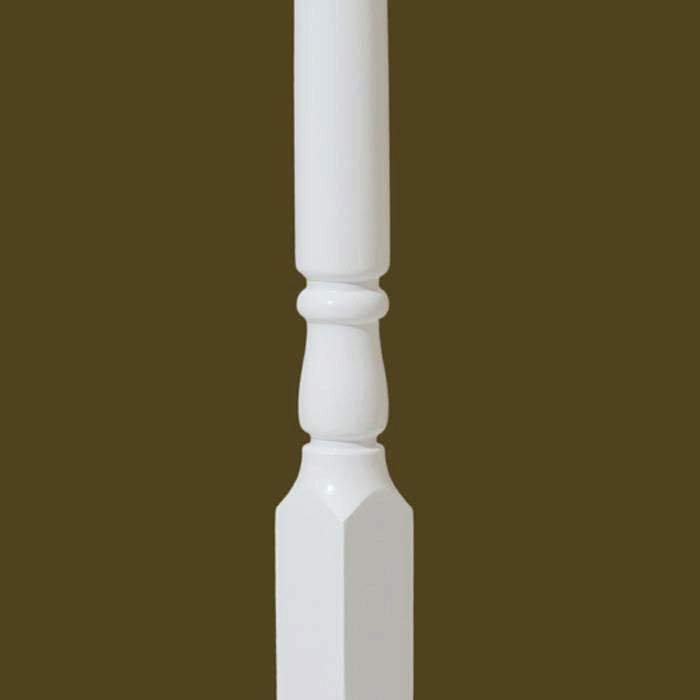 Our 5015 baluster has a 13 inch bottom section and is 42 inches total. If you have any other questions, you can call 866) 226 6536 to speak to one of our team members.